By now you know about molded plastic pallets in all their forms (nestable, stackable, and rackable) and functions (export shipping, closed-loop use, racking, etc.). 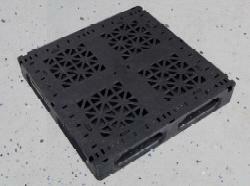 Quite often however, a need arises for a plastic pallet that is not available in a standard molded size. 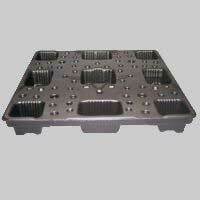 Constructing a pallet mold is cost prohibitive for most of our customers. Fortunately, custom plastic pallets have been available from Plastic Pallet & Container for more than 20 years, and there have been some positive advances over that time. Continue reading When Standard Sizes Just Don’t Fit: Custom Pallets! Rackable plastic pallets, unlike nestable pallets and stackable pallets, have 2 primary attributes: intended racking type and rackable load capacity. Rackable load capacity is simply how much weight the pallet can hold when placed in a rack. The type of rack used can have a major impact on pallet performance. All rackable pallets are stackable, but not all stackable pallets are rackable. Plastic pallets are typically made using a mold that has been custom-designed for a specific application, and they typically are made for a specific application or purpose. 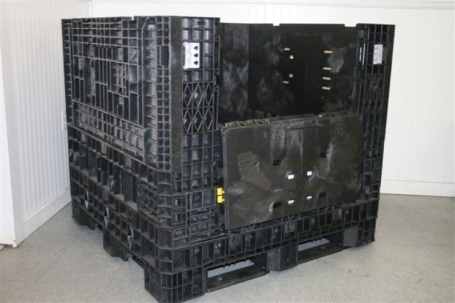 Plastic pallets generally fall into one of three categories, Nestable, Stackable, or Rackable. Identifying the right pallet for your job is the necessary first step to taking advantage of all plastic pallets have to offer. Do it right and realize a return on your investment; do it wrong and waste time, money, product, and maybe customers. Continue reading Are All Plastic Pallets the Same? Plastic Pallet & Container offers collapsible containers in both new and refurbished condition with a wide variety of sizes and colors. We can also customize them to fit your needs should a stock size not meet the requirements of your application. Custom Containers are available to fit your specific requirements when standard bin or containers sizes do not match up with the needs of the application. Through cut and weld technology we can increase or decrease the height, length and width of the container as well as add features such as stackable casters, drop doors, drain plugs and removable walls. Call us today to see what we can do for you. 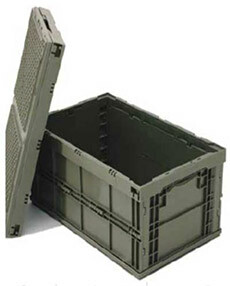 Plastic Pallet & Container offers custom plastic pallets in any size for specialty applications. 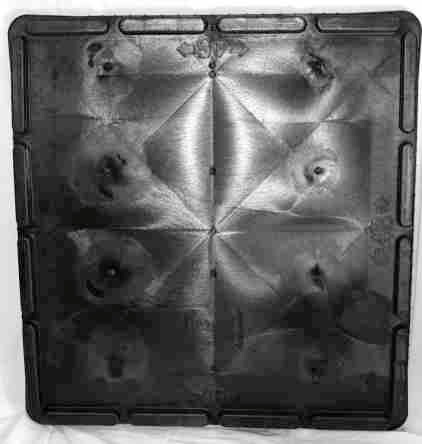 Mattress manufacturers and distributors benefit from the naturally fire resistant PVC plastic pallet that can be built to meet the unique footprint requirements of various mattress sizes. Plastic Lumber Pallets are also available for applications requiring a more robust custom plastic pallet. Like PVC, Plastic Lumber can be used to construct a plastic pallet to fit the unique requirements of any industry, such as tire manufacturers and steel coil producers. 4845 Lids for collapsible containers are now available to ship next day! 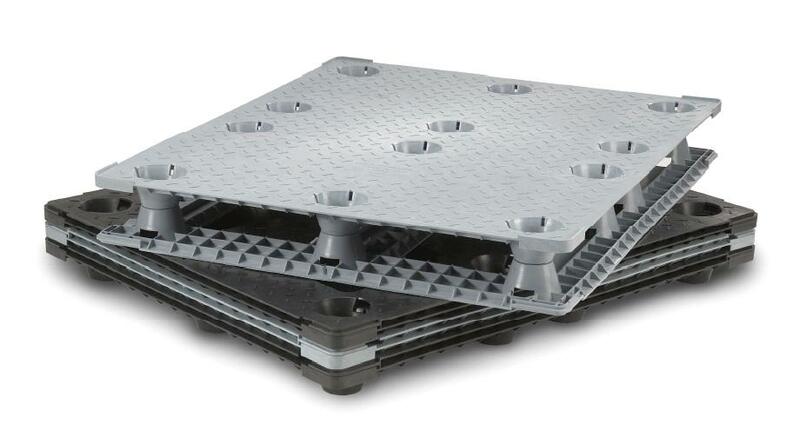 HD Structural Foam lids for our standard footprint (48×45) containers are in stock and ready to ship. These lids feature reinforced corners and a slightly domed top to shed water. The Warehouse Products below can enhance safety conditions for Employees and Customers. Plastic Pallet and Container offers more than a wide range of reusable shipping products like nestable, stackable, and rackable pallets, and plastic bulk bins and totes. We also offer a comprehensive set of warehouse products for added safety and visibility in and around the warehouse. 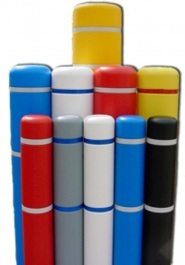 Bollard Covers are available in a range of standard colors, with custom colors also available. Flexible Bollards and temporary bollards may be a good fit for high traffic applications and special events. Clearance Guards are available from Plastic Pallet and Container to improve vehicle safety in the warehouse and garage, while Plastic Speed Bumps, Column Protectors, and Parking Blocks improve safety in the parking lot. Perhaps we should consider changing our name to Plastic Pallet & Container & Bollard Covers & Clearance Guards & Speed Bumps & Column Protectors & Parking Blocks. It’s got a nice ring to it. The MACX 48 Fixed Wall Container can be stacked 10 high to maximize warehouse space. Colors available include Blue, Grey, Yellow, and White. Casters and lids also available. 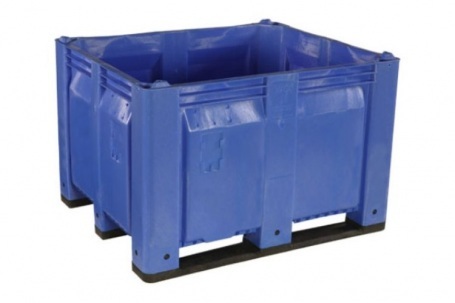 Featured Product – GRU 4840 Heavy Duty Nestable Plastic Pallet. 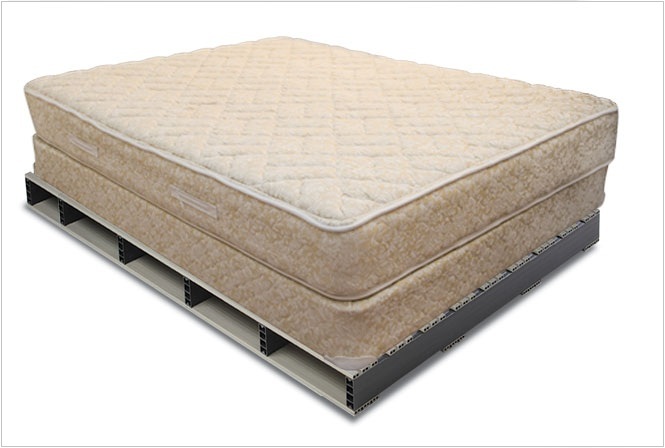 This pallet boasts a static load capacity of 30,000 lbs. The GRU 4840 is the perfect pallet for heavy load export applications, as well as in house uses. Collapsible Totes from Plastic Pallet & Container are available in a variety of sizes. Totes are durable and reusable and provide optimal storage and stacking capability. 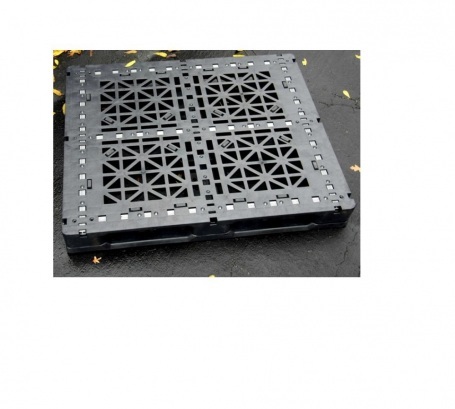 The GRS 4840 Rackable Plastic Pallet offers a 6-rail perimeter base and a racking capacity of 1500 lbs. The addition of fiberglass reinforcement rods increases that capacity further – up to 3500 lbs! 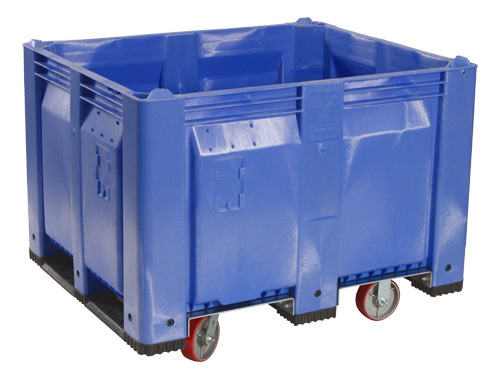 This twin-sheet thermoformed plastic drum pallet safely handles four 55-gallon drums. The unique design of the CAD4848 Drum Pallet features a 12-gallon reservoir to help contain leaks and spills. This pallet is unique for its size and strength. 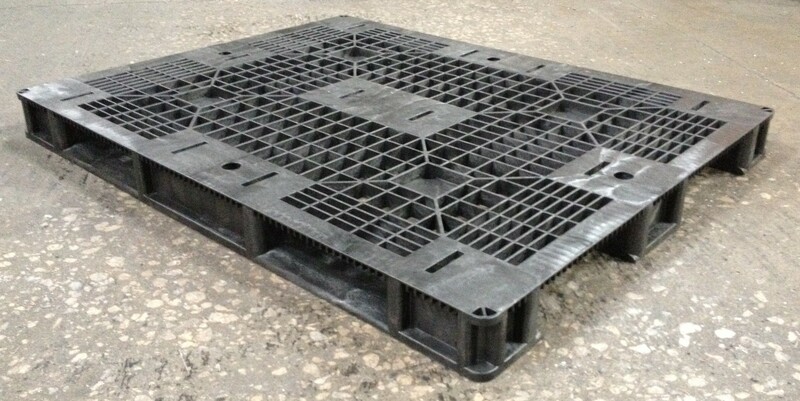 The GRS-3737 Rackable Plastic Pallet has a smaller footprint than the standard 48×40 plastic pallets, making them ideal for display pallets. With the addition of 4 fiberglass reinforcement rods, the racking capacity of the GRS-3737 increases from 2,000 lbs. to 2,500 lbs! The October Newsletter from Plastic Pallet and Container featuring our 2-piece GPI stackable pallet is now available. Check it out Here. Plastic Pallet & Container is pleased to offer used and refurbished containers to save on cost when factory fresh containers are not required. Our reconditioned containers are inspected, cleaned and repaired (if necessary), and missing parts are replaced. They are guaranteed against defect, although color variations and cosmetic imperfections should be expected. A wide range of sizes are available. Contact our sales team today for price and availability. Now available from Plastic Pallet & Container, this stackable plastic pallet features 4-way entry and is specifically designed for use in the beverage industry. The punishment these pallets are put through in the video below graphically shows just how tough a heavy duty plastic pallet can be!